The refrain I hear across Ohio about the opioid epidemic is clear: People are desperate for hope, and they want solutions. We’ve made progress recently, and we have much more to do. But I’m proud that Congress took another important step to make the federal government a better partner through new legislation the president just signed into law. The most urgent crisis we face in Ohio is the rise of fentanyl – a synthetic opioid 50 times more potent than heroin. Fentanyl overdose deaths in Ohio have increased by nearly 4,000 percent since 2013, and last year fentanyl was responsible for more than 70 percent of Ohio overdose deaths. Newtown Police Chief Tom Synan, co-chair of the Hamilton County Heroin Coalition, told me at a recent meeting that fentanyl continues to be the top killer in Greater Cincinnati – and other drugs like cocaine, heroin and meth are being laced with it. In August 2016, Cincinnati experienced 174 overdoses over six days. That spike was caused by a fentanyl analogue called carfentanil. It drew national attention to this crisis – and highlighted the need to act. Just days after we learned this spike was caused by synthetic opioids, I introduced bipartisan legislation to combat the rise of these drugs. Based on an 18-month investigation by a congressional subcommittee I chair, we know that fentanyl is mostly shipped into our communities from China through our U.S. Postal Service. Our legislation addressed that. The legislation – the STOP Act – was included in the new opioid law the president signed last week and closes the loophole in our international mail screening that drug traffickers have exploited. It requires the Postal Service to receive electronic advance data on packages entering the U.S., something private carriers are already required to do. This information allows law enforcement to identify suspicious packages, test them and seize fentanyl. I’ve seen this process in person, including at the DHL distribution center at the Greater Cincinnati airport, where I met with Customs and Border Protection officers who told me how badly they need this information to keep fentanyl out. Now that it is law, the STOP Act will act as a tourniquet, stemming the flow of fentanyl into Ohio and allowing prevention, treatment, and recovery programs to take hold. The new opioid law also expands access to treatment. When someone is ready to get over their addiction, treatment centers have to be ready to accept them. I’ve talked with too many families who have lost loved ones from overdoses after they were turned away from a treatment center because there wasn’t enough space. A decades-old policy restricts those with Medicaid from seeking care in facilities with more than 16 beds. The new law includes bipartisan legislation I authored to lift this arbitrary restriction. We want to help more people with the disease of addiction get treatment, and this initiative will do that. It will also ensure that all forms of substance abuse are covered and that treatment centers offer multiple forms of medication-assisted treatment to help people get treatment that is right for them. The new opioid law also helps protect pregnant and postpartum moms affected by addiction as well as babies born dependent on drugs. These innocent babies have to be taken through the process of withdrawal as infants – and the long-term health effects are uncertain. Earlier this year, I introduced CARA 2.0 to build on the successes of the Comprehensive Addiction and Recovery Act (CARA), my bipartisan legislation that became law in 2016. A number of provisions from CARA 2.0 are in this new law, including $60 million for a plan of safe care for babies born dependent on drugs. This is welcomed news for Cincinnati organizations like First Step Home, which provides support for expecting mothers, and Cincinnati Children’s Hospital, which has an innovative program to help babies born dependent on drugs. The law also includes the CRIB Act, a bipartisan bill I co-authored that will help newborns recover from addiction in the best care setting possible and provide support for their families. I’ve seen the love and care babies receive through these impressive recovery programs, like Brigid’s Path in Dayton. This new law will assist that great program and support more like it. Despite overdose deaths rising to new highs last year, there are some encouraging signs. In Cincinnati, more Narcan is being distributed to save lives, medication-assisted treatment is being expanded at places like Center for Addiction Treatment and Talbert House to help more people get into effective treatment to overcome their addiction. Mercy Health in Cincinnati is partnering with treatment centers to bridge the transition from immediate medical assistance and detox to longer-term treatment and wellness. Through the commitment I have seen at the local level and this new law’s renewed partnership from the federal level, I believe we can turn the corner and take back our communities from the grips of addiction. 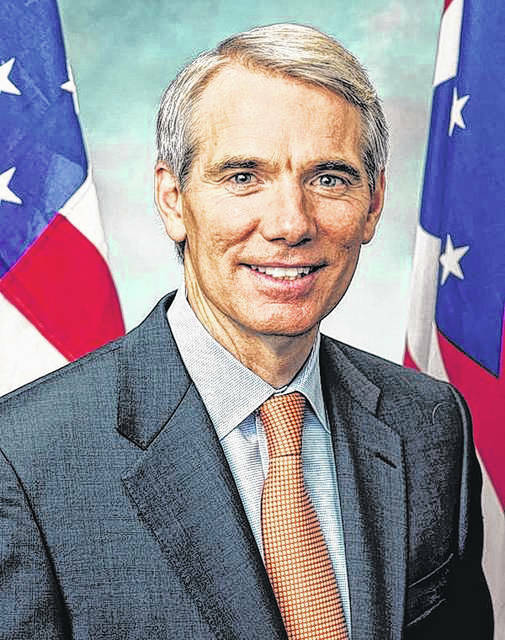 Rob Portman is a United States senator from Ohio and guest columnist.